We do get a few emails via the site contact form; it’s great to read that people enjoy the blog and find it interesting. Obviously most passers by are Ridgeback owners, are interested in Ridgebacks or have a lion infestation problem in their back garden. 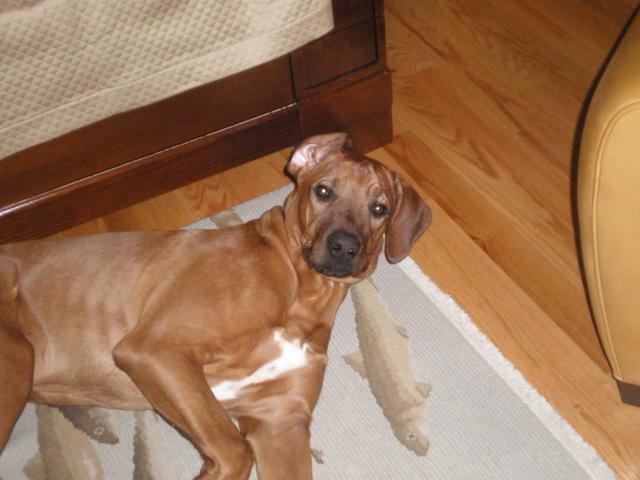 So it was nice to receive an email from Lily across the water in New York who has a lovely Ridgeback called Julius. Julius has kept his part of the bargain and Lily reports that they are lion-free. Julius has decided that squirrels now require his attention. I asked Lily if she had any pictures so we could balance the site out so Louis doesn’t think it’s all about him and she has kindly sent some over. 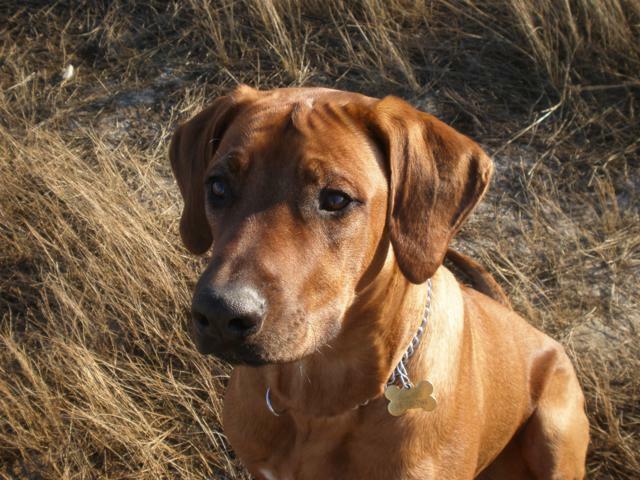 Here’s Julius doing what Ridgebacks do really well; better than any other hound. Yes, guarding the floor. He’s good; you won’t catch me trying to nick that floor. It’s that “I might scavenge discarded butties (sandwiches) out of hedgerows but I have a longer name than you and I can trace my ancestors further back than you can; now kneel before me and bring me kibble, or sausages; preferably both.” look. Thank you Lily, and Julius.